China feeds North Korea’s energy needs through the “Sino-DPRK Friendship Oil Pipeline”, but Washington wants Beijing to turn off the tap to pressure its neighbour into abandoning its nuclear programme. After North Korea launched a ballistic missile over Japan on Friday, US Secretary of State Rex Tillerson urged Beijing again to use “the very powerful tool of oil supply” as leverage on its nuclear-armed ally. 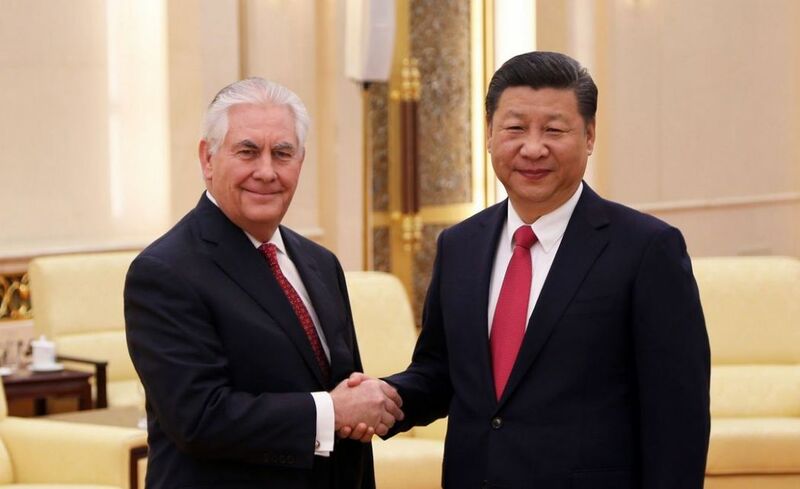 Rex Tillerson and Xi Jinping. File photo: US Gov. 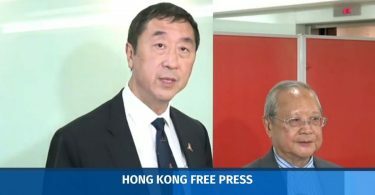 But Chinese foreign ministry spokeswoman Hua Chunying said Friday that Beijing had already made “enormous sacrifices” and that it “does not hold the key to the Korean peninsula issue”. 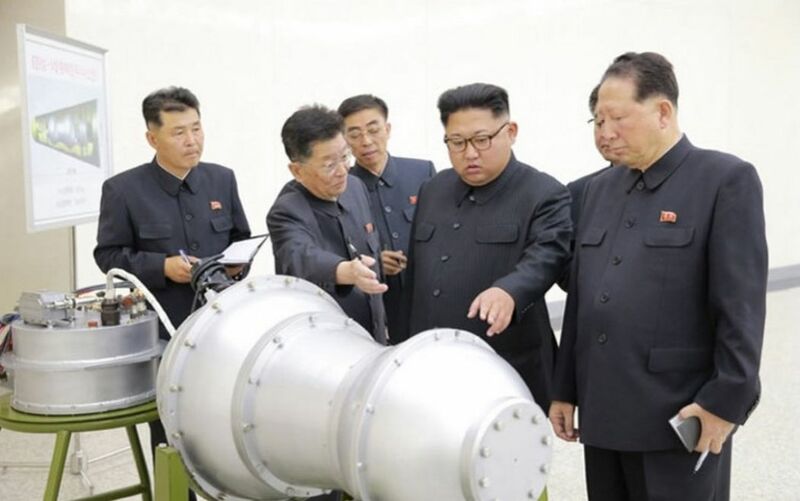 Washington had sought an oil embargo after North Korea’s sixth and most powerful nuclear test, but it softened its stance to secure backing from China and Russia for new sanctions that were approved by the UN Security Council on Monday. The sanctions limit shipments of crude and refined oil products, but they fall short of an embargo. So why is China so reluctant to completely cut off the steady flow of petroleum into North Korea’s fuel tanks? How much does China export? No one really knows. China has not published data on its oil exports to the North since 2014. The US Energy Information Administration estimates that the country consumes only a small amount: around 15,000 barrels a day. The majority of that likely comes from China. According to UN customs data, China sent 6,000 barrels a day of oil products to North Korea in 2016. Crude flows across the Yalu River from the Chinese city of Dandong to the Sinuiju oil depot in North Korea through the 30-kilometre (18-mile) “Sino-DPRK Friendship Oil Pipeline”. The pipeline was put into operation in 1975 with a capacity of three million tonnes per year, but the China National Petroleum Corporation said in 2015 that annual capacity stood at 520,000 tonnes. The majority of that oil, if not all of it, is used by the military and Pyongyang’s nuclear and missile programme, according to Wang Peng, a Korea expert at China’s Charhar Institute. “I suppose there would be nothing left after the troops are finished. 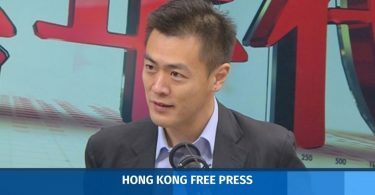 I don’t think ordinary people can take a share,” Wang told AFP. China fears that stopping the flow of energy could trigger the collapse of the North Korean government. Although Beijing might not be happy with Kim Jong-un, it believes his government is critical to maintaining stability on the Korean Peninsula. If his regime collapses, it would likely trigger a flood of refugees across China’s border and eliminate a strategic buffer separating China from the US military in South Korea. Not to mention the question of what would happen to the country’s collection of nuclear weapons once the government collapses. There’s at least one practical reason for Beijing’s hesitation: once you shut down a pipeline, it can be very hard to turn it back on. “Some people say that the oil pipeline is so old and clogged that once they stop using it it might become more clogged and it would need to be repaired,” said Joost van Deutekom, analyst at Beijing-based research firm China Policy. “It would be damaged so extensively that it wouldn’t be possible to repair anymore,” he said. In the short term, it is not clear whether an oil embargo would have a substantial impact on the North’s weapons programme, since the country likely has reserves, said Jingdong Yuan, a professor at the Center for International Security Studies at the University of Sydney. “So North Korea can last. It will not suddenly collapse,” he said. One thing is certain, however: the move would infuriate Pyongyang. “The North Koreans certainly will be very hostile towards China,” he said. Explainer: Will China turn off North Korea's oil?